Compatible Black Toner Cartridge with 14,000 high capacity page yield. Equivalent to Xerox part number: 106R01371. 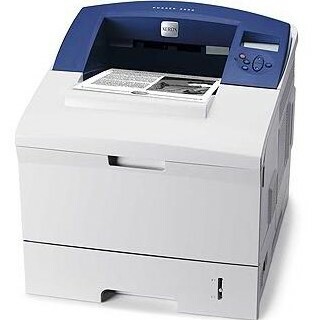 Fits the following model(s): Xerox 3600, Xerox 3600N, Xerox 3600DN. 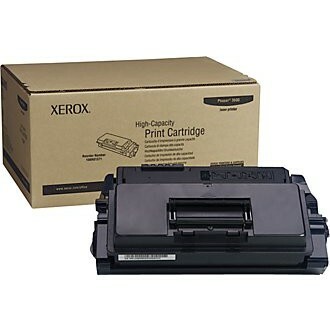 Buy our high quality compatible toner for Xerox Phaser 3600 with confidence. Join thousands of happy customers who have found our compatible products are equivalent in page yield and print quality. For our compatible products, we offer a 100% Satisfaction Guarantee allowing you to return products within 6 months if you are unsatisfied. The Xerox Phaser 3600 has a pretty expensive price tag, but it packs a wide range of features to justify its high asking price. The laser printer's quick speeds are one of its many perks, monochrome projects printing at a rate of up to 40 pages per minute and graphics at a speed of 38 pages per minute. If users don't mind spending a little more, the available 3600N and 3600DN models offer the convenience of networking and duplexing that will add flexibility for busy offices. The machine is designed with user-friendly features including a front panel that provides access to project's statuses and error messages if problems arise. Its simple management capabilities also provide a toner save mode to extend the life of Xerox 3600 printer toner supplies while maintaining consistent output quality. The device implements image enhancement technology that combines with the Phaser 3600 toner system to produce sharp monochrome documents with a maximum resolution of 1200x1200 dpi. The unit's versatile media handling can accept a range of paper sizes from a minimum of 3x5 inch paper to a maximum of 8.5x14 inches. Its 500-sheet input tray and 100-page multipurpose tray make up the standard media capacity, but optional trays can allow users to expand to a total capacity of 1,110 sheets. From its expandable media handling to a large 200,000-page monthly duty cycle and high-capacity toners, the device is a good printing solution for large-volume offices. The standard black Xerox 3600 toner cartridge has a capacity of 7,000 pages. The optional high-capacity Phaser 3600 toner can yield up to 14,000 pages and is a smart purchase to reduce running costs. 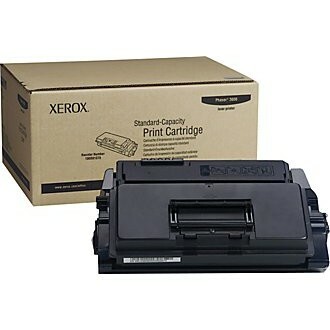 Available remanufactured Xerox 3600 toner cartridges can also lower expenses compared to genuine replacements. With its quality output and easy-to-use design, the machine simplifies printing while providing professional monochrome text and graphics. While the 3600's initial cost might seem overpriced for a standard office unit, its expandable and reliable features make it well worth the price.